NOEL FOY calls for a more constructive debate, from all parties, amid an increasing lack of restraint in recent months. 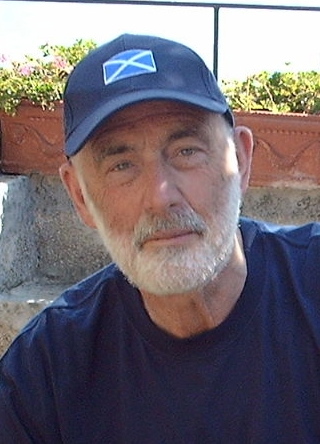 In an interesting article published in the ‘Scotsman’ on the 7 February 2012 former Member of Parliament, Cabinet Minister, retired NATO General Secretary and distinguished Scot George Robertson complained of the vitriol heaped on the head of those who spoke out against the push towards Independence. Others, in similar terms, have written of the ‘Cybernat’ attacks which invariably follow anyone who, as Lord Robertson says “puts their head above the parapet”. I would strongly recommend a visit to the online comments in the ‘Scotsman’ that follows George Robertson’s article. The great god Google will prove very helpful here. At the last look there were 19 pages and over 275 comments. A good number of the comments have been deleted or amended by the site moderator which says something in itself. Much of what is left on the site is aggressive, bitter and often openly vicious. Are these comments meant to wound, intimidate and silence? Yes, as I see it – but visit the site and make your own judgement. Some may be inclined to dismiss Lord Robertson and this piece as a bit of a whinge by the Party which lost badly last May. This would be to misunderstand what I am getting at and the issue I am trying to address. What I am seeking is common cause against unacceptable behaviour regardless of its origin. We can all surely agree that the right to be heard with a reasonable degree of respect is a given and above the cut and thrust of partisan politics. And even if nothing can be done about abuse and open political malice on the web mainstream politicians and Party activists of every stripe should condemn it. Scotland has a great democratic tradition and the vast majority of Scots are fair minded, reasonable and liberal in the literal, open minded sense of this essential and much abused word. The vast majority of Scots hold steadfastly to the belief that the best and indeed only way moving forward and resolving strongly held differences of opinion is by persuasion, dialogue and democracy. And it fair to assume that the vast majority of Scots, if consulted and given a choice on the matter, would deplore the misuse of the internet by a few who apparently believe in none of the above. Sooner or later there will be an end to all this toing and froing and the people will decide. Regardless of the outcome the decision will be life changing, final and (hopefully) decisive. There will be no second act, no re-run, no re-match and the winner will take all. Being on the losing side will be a very, very hard place to be. With so much heat, passion and emotion so clearly on display, some of it distinctly unpleasant, perhaps all of us ought to thinking now about what Scotland might be like after the referendum. No-one knows how long Noel Foy worked as an organiser for the Scottish Labour Party, but rumours abound that his relationship with Keir Hardie was not good. He’s now retired, lives in Haddington and is still fighting the good fight. Though we may not see eye to eye on either party or policy, I know and respect Noel and find little to dispute in his article. Scotland, in whatever form we wish to mould it for the future, will not be advanced by vitriol aimed at those whose views are sincerely held and, if respectful of others, deserving of respect themselves. For myself (with latitude for some humour without which things would get sterile) I am as committed as any to accuracy, fairness and openness in this vital debate. I make no apology for others whose hot-headedness or partisan deafness get in the way of that, other than to observe that they seem common on both sides, which turns punters off in droves. While some Labour supporters – and even elected representatives – have been guilty of using intemperate language, the level of sustained vitriol by some on the nationalist side simply beggars belief. It is even worse considering that many of them hide behind nom de plumes, while it is rare for that to be the case on the other side of the argument. I would like to see the measures in the anti-sectarian act used against some of these online comments, as they clearly fall in the meaning of the act in terms of threatening behaviour. I’d like to believe, Noel, that these things will reduce – or even vanish, after the result of the referendum, but sadly I doubt it. If the vote is for independence, then our voices will be shouted down as irrelevant by the cybernats – why should we get to decide, when we didnt want independence, etc, etc – and if the vote is for Scotland to remain part of the UK, then the hatred will only become worse. We will be accused of all sorts of crimes, rigging ballots, smearing politicians, lying about Scotland – you name it. You can see what drives some of these people in some of the comments they make – they will only be happy when all their opponents are gone – either moved south, or worse. This isnt going to just fade away. And you know for a fact John that all these so called cybernats are SNP members. Another perspective is the internet has given the great unwashed a lot of information, good and bad, that allows us all to make what some may consider, ill informed decisions and opinions. But it has allowed us to start looking at the actions of our political servants and are now questioning their competence and loyalties. This can only be for the better. Democracy here in these Islands has never reached the dizzy heights that they profess to all the world. As for me, I’m happy George is irritated, same with Foulkes and Forsyth. For, apparently they know not where their country lies. I completely agree. Some of the comments I’ve read online have been pretty horrific. The bottom line for me is simply this: no matter whether someone is a Nationalist or a Unionist, everyone in the whole debate wants what they genuinely and truly believe is the best thing for everyone, including those on the other side of the debate. A disagreement about what is the best course of action when the end goal for both is the same – the welfare of Scotland and the Scottish people – should not be allowed to cause hatred between brothers and sisters. It is too late for reasoned and constructive debate. This is a war of vitriol that Labour started many years ago, which later both the Tories and Lib Dems took up, and which many Scottish political commentators on air and in print continue. No sleight, smear or downright lie aimed at the SNP will now go unchallenged. The truth is that unionist parties were instrumental in the creation of the CyberNats. Believe me there will be no prisoners taken in this war of verbal attrition. See, you say that “Scotland has a great democratic tradition and the vast majority of Scots are fair minded, reasonable and liberal” but that is not what George Robertson believes. George Roberston starts his Scotsman article by saying that where “ nationalism meets separatism, I stand aside. That is a toxic mixture”. I also read George Robertson’s piece in the Scottish Review following publication of his Scotsman article. It starts off saying “I often joke that after my four-year stint as Shadow Secretary of State for Scotland, everything else – the Balkans, 9/11, Macedonia, Russia, Saddam – was a piece of cake. After all whatever you say about Milosovic and his poisonous crew they never pretended that they were on your side”. He then goes on to say: “I have seen the hurley-burley of politics and my political skin is thick. I know that people have deep passions about race or tribe or nationality and often patriotism can turn to bloody violence. I saw the miserably extreme legacy of that in the unimaginable horrors of Bosnia and Kosovo. So I wonder what exactly is it that we have “grown out of?” Because in my lifetime – and I suspect most people would agree – the only occasions we’ve seen that kind of thing has either been associated with British nationalism – BNP, NF that kind of thing – or with football related behaviour, which has of course recently and famously become the subject of legislation opposed by the Scottish Labour Party. To be sure there is a deep rooted problem particularly in the west of Scotland with a kind of inarticulate male violence.. But I don’t see how that fits in to the template of the kind of violence spurred on by racial feeling. The kind of violence we have a problem with is actually more a kind of individual self-hatred and self-destruction vented on the wider community by young men who are often – no, scrub that, almost always – off their heads either on drink or drugs. There have, however, been no race riots in Scotland . And no racists have ever been elected. That is not to say there is no racism of course. But there is no Scottish equivalent of Nick Griffin or even Nigel Farrage. So again it is difficult to know what it is George wishes we had grown out of. Or is it being suggested that an independent Scotland would grow INTO that behaviour once the Westminster hand was taken off the tiller? Is being part of the UK the only way actually control (presumably deeply repressed) Scottish instincts to genocide? If that is the case don’t you think that such a suggestion is in itself abusive? Or do you agree with that assessment? While I agree that abuse should be condemmed by all sides, that condemnation must not be party political as it appears some people want. If you look at websites then abuse is widespread and targets Scotnats as well as Britnats. It would also help if politicians moderated their language and examples are,sadly, easy to find. These public smears have been going on for years, are mostly aimed at the SNP and have usually been condoned by their political and media friends. One of the main problems Noel is that some individuals are choosing to be offended and are making claims that people have said something they clearly haven’t. For instance i recently posted on toryhoose (yes i know but someone has to speak to them) and in response to the thread about tory re-branding I made general comments about re-branding and the perception of Scots that the tories were more inclined to serve the interests of England/west minster than that of Scotland. The fake indignation was incredible with claims that I was saying this and that. This has been a tactic employed by the unionist movement in order to undermine the positive vision of the SNP and to paint the supporters of Independence as people who are anti -English or intolerant. This tactic has been employed because the unionst movement know that they have no genuine positive vision for Scotland and only have some mythical long lost union to look back on and some wars that we fought together, as reasons why we should continue to send our sons to die in illegal wars. The unionists therefore only have one fall back position and this is to attempt to destroy the positive vision put forward by the SNP and their followers. It has failed and so the emphasis has shifted to the unionists now attacking the ‘cybernats’ and making unfounded claims about them. It’s at very least one of the most shallow political standpoints adopted by any political movement in the history of western democracy and indicates the lack of talent in the unionist opposition in Scotland. I absolutely agree with Noel about the standard of debate and it saddens me there is such vitriol but after almost 30 years voting Labour and living in the east end of Glasgow (the two things used to be synonomous) I feel hurt and betrayed by Labour in Glasgow and in Scotland and probably in the UK too. I have had to move on politically and over time have aligned myself to the SNP before finally joining the party recently. I recall the article by George Robertson and it made me really angry because in terms of the Scottish defence agenda it was designed to deaden and close down the democratic possibilites for new ways of doing things. It was blatant scaremongering and in that respect very similar to so many other Labour articles on hundreds of other topics and it is the sheer range of topics on which Scottish Labour have set their face to the wall opposing for opposing sake which so incenses people who want progressive politics in Scotland. This ‘deadening’ narrative goes beyond negative campaigning and is more akin to some Pavlovian reflex action – say independence, say Salmond, say Sturgeon or Swinney and you’ll be met with deaf ears, denial and dismissiveness. As an ex Labour voter I would be delighted to see a left coalition between SNP and Labour. It’s not fair to expect the people of Scotland to wait for a UK Labour party to be re-elected at some distant point in the future – if ever and anyway London Labour isn’t Scottish Labour as some ex Glasgow Labour councillors now know to their chagrin. I don’t believe there aren’t colleagues in Scottish Labour who would not favour independence as a way of securing a left leaning social democratic programme in Scotland and who knows – the existence of such a political force might even invigorate Labour’s message in the rUK. Noel, are you having a laugh with this article? Perhaps you would like to comment on the ‘actual’ bullying by Labour Councillors at Glasgow City Council. If you are going to tackle abuse, you have to tackle it all and not simply ignore the abuse against people who do not share your opinion. Glasgow City Council aside, do you think it is acceptable that the First Minister of Scotland, elected by the people of Scotland (whether you like him or not) has recently been compared to murderous dictators by senior UK politicians and BBC journalists in the House of Commons, Lords and national television? Does this constitute abuse under your definition? You know of course that all the moderated posts were from nationalists and no unionists post nasty comments – i know differently. Since I am retired I have time to read all the UK papers on the web. The foul, anti-Scottish, anti-nationalist stuff i’ve read make me ashamed to share an island with these people. One wanted a nuclear explosion on the Clyde to sort us all out. Read Robertson’s own foul language in today’s Express and if he can get away with it what do you expect from ordinary posters. I totally agree with your calling for decent and constructive comment – do you read what MPs, MSPs and Lords have called Alex Salmond. What is needed is for unionists to grow up, put forward real arguments for the union. Drop the too wee, too poor and too stupid it has all been blown out of the water. I would have much more respect for your view if anything was forthcoming about the bullying in Glasgow City Council. I think you are being a bit naive thinking that if the referendum for independence is lost that will be it. You must surely have noticed the momentum. Independence is a certainty – only the timing is in question. Good Luck in your appeals for decent behaviour. Start with Glasgow City council! Sadly many Labour people consider supporters of Scottish independence to be little more than racist, neo-fascist, anti-English, xenophopic, Tartan Tory, haggis munching Braveheart nutters, motivated by grievance etc. etc. What chance of a reasoned debate with people like that, eh Mr. Hothershall? The article by ‘Lord’ Robertson and several others were wiped clean by the mods quite early on when Robertsons diatribe was effectively rubbished by contributors from all sides of the Independence argument. Perhaps this ‘Lord’ was unused to such an emphatic rejection to his rather biased opinion of Scotland. An opinion only recently formed at the same time as his ermine robe arrived. A coincidence surely. Despite this, many contributors were unfazed by the blanket gagging and continued to show the ‘Lord’ where he was mistaken in his beliefs. There is of course, always going to be a few who entertain themselves with the knowledge that any site which does not require proof of identity before posting, will extend their opinions towards the vernacular. These individuals are usually well known and have accrued a certain notoriety on the Scotsman site. Rufus, SME, Agent P, Grahamski, Cynicus etc. Some may even be the same person. However, one learns to ignore their tepid remarks, as the negativity of their comments soon demonstrates their limited intelligence. But it seems that ‘Lords’ such as this Robertson chap cannot bear the thought that their opinions are so little thought of. In principle, I totally agree with you Noel. I don’t endlessly trawl every website where these discussions take place but I have to say I haven’t seen much, from either side, that I’ve found genuinely offensive. And the term ‘cybernat’ seems to apply to any independence supporter on the net. Maybe we’re all a bit too blind to our own side’s shortcomings and a little too sensitive to the ‘other’ sides tactics but the way things have come cross to me, and I doubt I’m alone, is that the Labour party are being incredibly negative, too interested in faux outrage, scare-mongering and destructive debate rather than constructive debate. The idea seems to be to throw enough mud until, in enough people’s minds, some sticks. See the ridiculous repitition of the ‘£800 million steel contract to China’ when Labour knew full well they were spreading a lie or the widespread and deliberate mis-representation of Joan McAlipne’s comments to some of the more outlandish insinuations about Scots being forced to learn Gaelic to get a public sector job after independence (from this very site). This is inevitably going to harden any supporter of the SNP or independence’s views against the Labour party and people who they see as attempting to drag this debate into the gutter. I support independence because I’ve thought about the issues and come to the conclusion that it would be better for Scotland. For that reason, I’m confident that a constructive, grown-up debate about it will result in a yes vote (and for the reason that it’s the best way to conduct any public debate) so I’d love to see that kind of debate. Unfortunately, that’s only coming from one party at the moment: and it’s not the Labour party. Maybe the reason Labour feel the need to ‘go negative’ is that, deep down, they know a constructive debate about this is more likely to lead to a yes vote. If that’s the case, any decision to stay negative for the next two and a half years is a very risky game. I would love to believe that the independence referendum will be a real debate about how to make Scotland as good as it can be for the benefit of this and future generations. Unfortunately, too many Britnats immediately drag the debate into petty name-calling by insisting on referring to ‘separation’ rather than ‘independence’. Let us agree to discuss the merits/demerits of independence, and to seek to rely on positive campaigning rather than merely negative scare tactics, and we can conduct a referendum campaign of which all will be proud. I would like the debate to go the way of Noel’s vision, but this is a one sided view from Noel. I like Bill’s comment above, and I also look through the papers, if anyone here has read, for example the Daily Mail’s articles on the referendum you would be disgusted by the anti Scottish bitterness that, the paper stirs up, its not just the SNP that are being attacked by some of the most foul mouthed abuse, and ofcourse, if a comment is placed, very politely but in defense of the position of Scotland, it is modded out. That is not democracy, the BBC is also guilty of this, and I also wonder why they put anything culturally Scottish on after midnight. Ofcourse, we now know that if Scotland votes YES, we will not be allowed to watch Eastenders, because we wont have to pay their TV liscense. Shame that. Just look back over the most recent threads on labourhame by well known figures in the labour party and you will see why the debate has descended into the slagging match that it has undoubtedly become. I have no doubt that John Ruddy believes what he posted about it being worse from the nat side, but we all know just how red John specks are. If you want a more balanced reaction to labours negetivity you would do well to read Franchwi’s post and read over the past few threads on labourhame and see just how many people have left the labour fold and joined the SNP sighting the negative campaigning by labour as the main reason. Look at the increasing number of labour people on labourhame practicably begging the labour party to stop being so negative. The labour parties response is to simply ignore these members and continue as before. the last polls had labour at %23 their lowest ever and who would bet against them dropping further ? The BBC has a British thread on indpendence and the ignorant lunacy from some right wing “English” people is on a par with the worst of the Scotnat postings. Important to see both sides of a discussion. They jump into a debate and frankly have little to order from the font of knowledge that they missed being bathed in. Facts not rhetoric would help. How Scotland is richer when they have had a (small) surplus when the UK is growing in debt and oil money and linked taxes has been transferred to attempt to pay for the said debt defies logic to me I have to say. Scotland wants more powers, and some monies, not even all of it, from the oil to be spent in Scotland rather than at the Olympics or the M25 and Channel tunnels. Perhaps an M9 to Inverness, and good transport links throughout the country as a whole as a priority. By offering no solution to match what previous labour voters apparently WANT then Labour are not doing themselves any favours in Scotland. A great pity Chisholm is not leading the Labour party in Scotland and setting the agenda as Labour would walk the next election with him in charge and his balanced views would meet the aspirations of even most SNP supporters. I suspect the flagwaving Olympics will be seen as Westminster largesse when people would rather have seen the money spent on securing new long term jobs for people. rather than being a positive for the Union I think it will backfire atrociously if not handled well. And putting a couple of Scots in a team GB will just show the flailing attempts to minimise Scotland as a “national” football team, which will get people more likely to vote for independence as football is important to them even if politics is not! If FIFA brings the matter up before 2014 as I would expect with Blatter on the way out and South American influence growing then this will come back to bite Westminster and not in a good way. Lord George Robertson, a politician who rose without trace, will manage fine, Cybernats or not, on his income from directorships etc which bring him in a seven figure sum annually. The US is very generous to the pliable that do their bidding in Nato and other organisations. Perhaps we can have a more grown up debate. I would welcome that. Perhaps less of the ‘Downfall’ videos would be a good start? Well said, Noel. I fear that the majority of responses here rather prove your point. Noel is asking for the impossible. This ‘debate’ will be a divisive and damaging exercise in all that is bad in Scottish politics. It will be nasty, vindictive, petty and parochial. Cant and hypocrisy will be the order of the day and there is not a thing we can do about it. Any notion that the ‘debate’ will be conducted in anything but the most hysterical and spiteful manner is so wildly optimistic that it borders on delusion. That this will damage our society for generations regardless of the result is perhaps the only certainty in this whole sorry business. The best we can hope for is that we can get it over with as quickly as possible. Grahamski – you are a regular contributor on other threads to the nasty, vindictive, petty and parochial debate. On top of all that don’t be a hypocrite just because you are on a “labour” site – it’s not mandatory! You’re absolutely correct, I am a regular contributor in this debate on other threads. That doesn’t alter the fact that this will be a damaging and costly exercise for Scotland and I can’t see us coming through this in anything but a weakened state. You have to learn that the world is not static. You have to take the rough with the smooth. Think Iceland, still with us, not sunk below the waves or been edited out of the world maps. Now a “safe place to invest”. The irony is this must make Gordon Brown and all the nay sayers, incandescent with rage, or is it embarrassement. Well for a long time labour and the other unionist parties backed by a very compliate mainstream media could do and say what they wanted about Scotland and the SNP party, it was nothing more than a form of bullying. Now we have the internet and similar media outlets and that in-balance has been rectified and they dont like it. So everytime you twist and fib and spin the facts about my country or my party, yep we will fight back, successfully too. You want there to be more open honest debate we are more than up for it, come on we’re waiting. But if you think we are just going to sit back and take the likes of the nonsense spouted in the two previous articles, you can think again those days are over. You always take a bully head on, they dont like it. And I’ll take being called a cybernat no problem, its better than unionist. Have you read any of the comments on the Scotmsan site? They are disgraceful – if this is the SNP fighting back then I fear for our country. Some nasty, nasty people on that site. 1- You made more of an effort to put independence on the back burner to make yourselves more appealling and relevant. 2- You were the only party in Scotland able to capitalise on the apathy felt towards a sitting Labour government. Your hatred for the UK has blinded you to the fact that we do stand on our own two feet but not only that – being part of the UK allows us to give each other a ‘punty’ when each nation is down. You have convinced yourself that Scotland is down-trodden and held back by the rUK and by extension that we have no say, are only seen as good for ‘our’ oil by the rUK etc etc. This is not true and the strange thing with this argument is that if you really believe in Scotland, why do you belittle our achievements as part of a larger nation? Why do you deminish the possiblities that lie before us by creating a stronger UK (economically, socially and democratically)? What a load of bolloxs, do you expect anybody to believe that drivel. And it wasn’t apathy we felt towards labour it was disgust. Disgust at a party that doesn’t give a toss about Scotland and just cares about itself, as was frequently seen during the last paraliment, as your party voted against anything that would be good for Scotland just to spite the SNP. Disgust at a party that resorts to bullying by threating a disabled laddies job to get their own way during a council meeting and disgust because none of you have said or done anything about it. As for growing up, I’m a father, husband and worker I grew up a long time before you, thats the reason I joined a party that has more hope, vision and simple common sense in their little finger than the rest of your unionist partys put together. My wife has a great saying about Scotlands oil, “aye if we didn’a ha the oil, we would have been independent long ago”, funny enough its hard to disbelieve her. And unlike you and your party I firmly believe Scotland can stand on its own two feet and prosper, to be an Independent Nation without kotowing to anyone and to have the guts to stand by its own achievements and mistakes. Instead you would have us sitting in the Westminster corner keeping quiet, not speaking unless spoken to first. What type of country does that. At least with an SNP party there is a chance of a bright future for my family, and my country, what do your parties offer ! same old, same old and theres your corner. The irony of his contribution to this particular thread is entirely lost on Mr. Grahamski – one of the most thoroughly abusive and unpleasant “CyberBrit” posters on The Scotsman’s website – and a gentleman who has, along with with several of his fellow-travellers, has pretty much destroyed that particular forum. I am one of the few regular posters on The Scotsman site who has not been banned. Nor have I had any of my posts removed for abusive or unpleasant posts. I certainly mock the pomposity of your dear leader and the nutty delusions of his acolytes but hey, that’s just one of the many advantages of living in a free UK. You stopped contributing as Grahamski and started as Grahamavanti because you were banned due to constantly comparing Salmond with the fascist Benito Mussolini. It would appear your vindictiveness has not diminished. Not true. Check the Scotsman comments and you’ll see I still use the moniker Grahamski. As I said, I am one of the few folk who have never been banned from the The Scotsman. No doubt Benito Salmondini will try and find a way to stop normal Scots voicing their opinions, however until that day comes I will continue to exervise my right of free speech. I tried to check the article referred to and there are no comments visible, I assume the Scotsman has taken it down. However you do raise a valid point about being able to debate and discuss without the venom and bile that often is displayed on comments sites. I would however look at more articles especially on the Scotsman site, look for the posters that appear just after midnight and exchange unpleasantness into the wee hours.The impression I get is that all sides are at it, so it is not going far enough to tag it as a cybernat problem as it seems to be much wider and more extensive than that being confined to the nationalist camp. The problem is to my mind tantamount to stifling debate, it is not just about vile attacks but deliberate tactics to multiple post, deflect and generally trolling. Just checked the ‘Scotsman’ website. The article and comments are still there. Type in George Robertson in the search spot and look on page 2. Heading, ‘Cut the vitriol, we need a grown up debate’. thanks for that, found the article, unfortunately (or perhaps fortunately) the first 43 comments had all been removed by the moderator, which took care of all the posts from the wee hours which is when most of the appalling posts happen. I do not disagree with the broad thrust of your post, rather I see is it as an issue, where supporters of all parties have and do step over the line of common decency. I do try to keep a simple rule for and that is to write comments as if I was standing talking to the person. Grahamski is a highly abusive character who fights on Labour’s side at the Scotsman. Is he by any chance a Labour party member? If he is are his actions sanctioned by the Labour party? Grahamski is one of the worse offenders on the Scotsman site. When you consider that the Scotsman is the most pro – unionist media outlet in Scotland with an editorial policy that makes no secret of it’s pro – labour stance, you would think he would be happy to have all the dice rolling in his favour. But no !… grahamski spouts some of the most vile, dishonest and anti Scottish bull on that site and shows the labour party in Falkirk, as well as in the rest of Scotland as nothing more than a nasty vindictive bunch of wingers with nothing positive to add to the debate, Get rid of people spouting the garbage that grahamski does on a daily basis and labour may have a chance. I usually avoid the Scotsman comments sections as they are not debates but attacks. Can you give us an example of what Grahamski has said that is anti-Scottish or is this just another attack on someone who disagrees with you? I also notice you make no comment on the cybernats who are said to inhabit that site. Do you not think their comments are disgusting also or do you only feign outrage when someone who disagrees with you has posted something you don’t like? It might help if our politicians set an example, rather than describing opponents as “anti-Scottish”, using adjectives such as “Gauleiter” and using videos in a childish attempt at humour. Responsibility comes from the top. However, the venom that spews out comes from all sides. But some of this could be curtailed, simply by moderators on blogs and other Internet sites removing the posts. But let’s get one thing clear – the cybernat brigade are the ones who will attract the most media attention, and that is damaging the very cause that they support. With reference to the old adage, “If you have a strong arguement there is no need to shout and abuse, whilst if your arguement is weak you can’t afford to shout and abuse”, I would say that the SNP are generally following the first part whilst the Unionists have forgotten the second part. Shouting down those who disagree with you at any level is a mark of this SNP government! ‘Anti-Scottish’ is just one example of this. This was a tongue-in-cheek comment wasn’t it? Admit it. I have to say that when you use words like ” aggressive, bitter and often openly vicious” to describe comments on an internet websites I find the irony amusing. If you comapre the treatment nationalists have had to put up with over the years I think you have to agree. For example, Suppresion of information – The McCrone Report. Political geremandering – The 1979 referendum’s 40% rule and The Scottish Constitutional Convention’s refusal to even discuss Independence. I’m not going to bore you with stories from the 80’s about campaigning for the SNP in Ayrshire and Lanarkshire but trust me the response from some Labour activists (a very few) could fairly be described as “aggressive, and bitter” and once “openly vicious”. Noel you get my drift. There is another point that has to be stressed here and it is important and should be recognised by unionist politicians including Lord George Robertson; the Scottish Nationalist’s campaign for independence has always been fought by debate and reason and has never resorted to violence. That point about the independence campaign being non violent is very important and I would be very disappointed should Labour Hame moderators decide to remove this comment. You tell your non-violence agenda to my uncle who was almost run off the road during the 1999 election campaign by the sons of the local SNP councillor he was to defeat. The nationalist campaign has not always been fought by debate and reason. Again we have some nationalist tinted specs shtting out the facts. Was the sectarian campaign against Helen Liddle part of the debate and reason to advance the cause of nationalism? Sadly we see poor comments from all sides but please don’t brush over your own sides contribution to it – especially when your side is by far the worst. It defies ‘reason’ and undermines ‘debate’. I think most people, if they’re being honest, will admit that those who abuse others when they get into political debate on many Scottish sites are pretty much half and half. I do not believe, having seen so many of these sites myself, that only one side indulges in vile behaviour. Politicians do it also. If the problem is to be addressed seriously then there is little point in singling out only one side. All sides should be urging their supporters to debate in a dignified manner rather than simply hurl insults at each other. Politics in Scotland, sadly, is on a par with attempting to engage a bunch of Old Firm supporters in a civilised conversation: I find that disappointing. It holds all of us back and stifles the real debate.